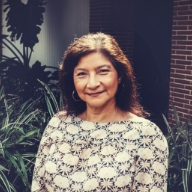 Iris Ceniceros Fielden, Director of Adult Choir, has been teaching music and directing choirs since 1989. Her primary music experience has been with CCISD schools where she taught choir and guitar for 13 years. She has also taught high school Spanish for 5 years at Miller High School. Iris has a BA in Music Education, a certification in Spanish, and a Master of Science all from Texas A. & M. University in Corpus Christi, Tx.